Grasshopper Manufacture has revealed the downloadable content that will be made available to those that buy the Travis Strikes Again: No More Heroes season pass. The season pass, which is bundled with physical copies but can be bought separately on the Nintendo eShop, will have two downloadable content packs in Vol. 1: Black Dandelion and Vol. 2: Bubblegum Fatale. Vol. 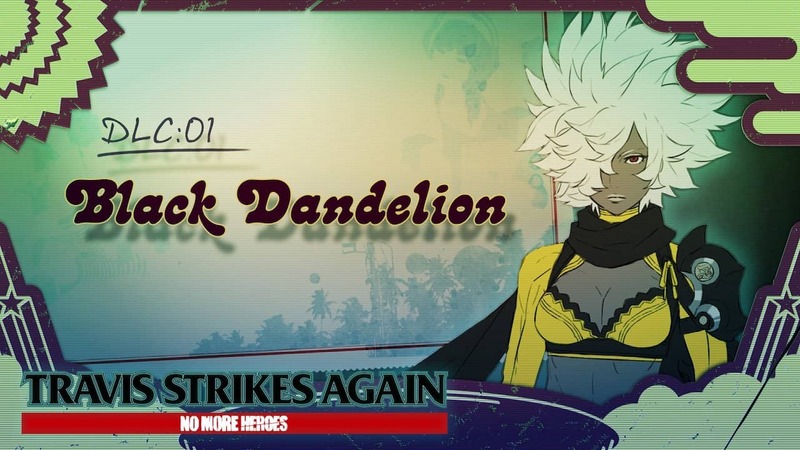 1: Black Dandelion – out on 28th February 2019 – will add Shinobu Jacobs as a playable character, the United Assassins Association’s youngest ranked member who we first met in the original No More Heroes. And then in Vol. 2: Bubblegum Fatale – out on 30th April 2019 – Bad Girl will be added as a playable character, who is ranked second in the United Assassins Association. Killed by Travis Touchdown in No More Heroes, it is unclear how the character has been able to make a return at this point. We know that her father, Bad Man, looks to avenge her death in No More Heroes: Travis Strikes Again, but Travis and Bad Man are soon sucked into his console, the Death Drive Mk II, where they must work together to make their escape. Travis Strikes Again: No More Heroes will release exclusively for Nintendo Switch worldwide on 18th January 2019, with the season pass priced at £8.99 (€9.99/$9.99).